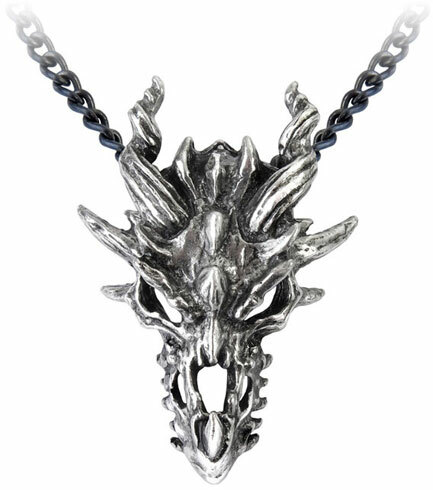 The skull of a beast, this pewter dragon skull pendant necklace is a fearsome icon of primitive ferocity unleashed of days past. The skull is made of fine English pewter and is imported. 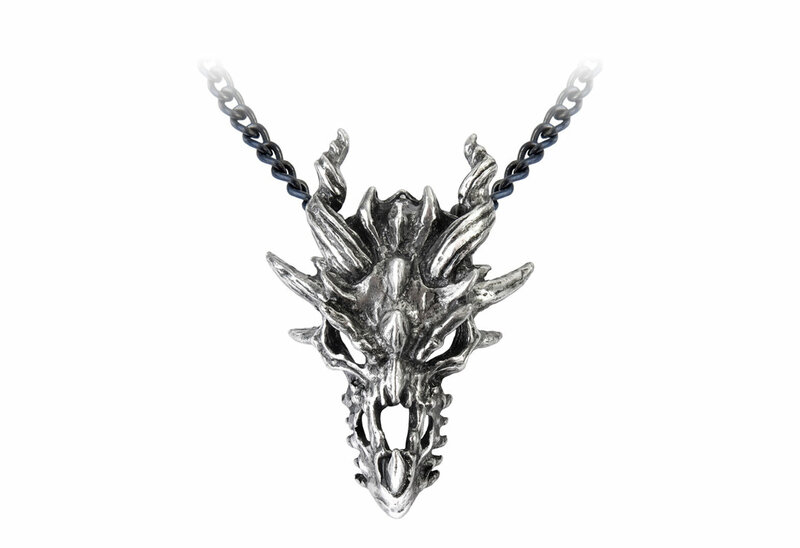 This pendant measures approximately 1.57 inches wide, 2.17 inches high and 0.59 inches deep. By Gothic Alchemy.